NJ Senator Stephen Sweeney | Community Options, Inc.
PRINCETON, NJ – To celebrate Community Options providing 20 years of service in the state of New York, the national nonprofit will hold a national fundraising Gala on Thursday, October 6 to honor the milestone. The Gala will take place at Pier 61 of The Lighthouse at Chelsea Piers at 6 p.m. The festivities will include cocktails, dinner and a silent auction. Headlining the event will be the keynote speaker, New Jersey Senate President, Stephen Sweeney. Sweeney will also receive the Parent Advocate Leadership Award. “Highlighting 20 years of life-changing work in just a single night? When it comes to honoring Community Options, I’m always willing to help,” said Senator Stephen Sweeney. Born and raised in New Jersey, Sweeney has served as Senate President since 2010, after earning a Senate seat in 2002. Sweeney spent nearly 15 years on the Gloucester County Board of Chosen Freeholders, including several years as Director. He is currently the Vice President of the International Association of Iron Workers. The Community Options’ gala committee is expecting 300 people from all over the country to attend the event. For more information about the gala, please contact Lisa Smith at Lisa.Smith@comop.org or 609-951-9900. 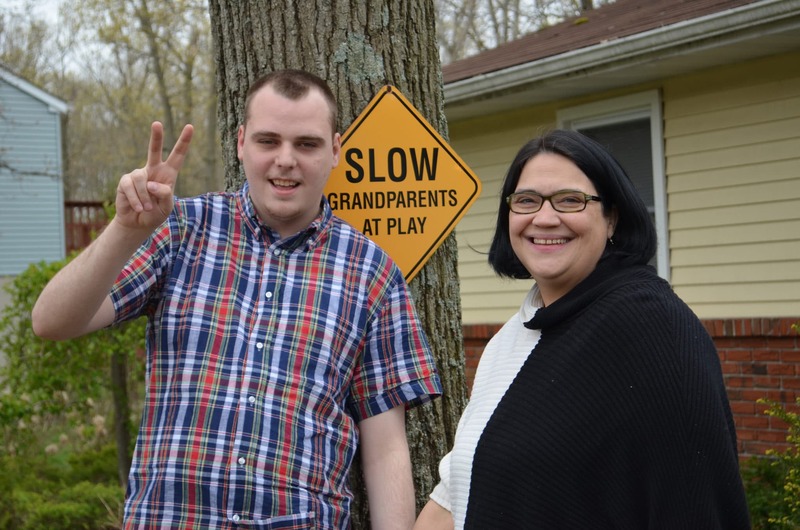 Advocates for people with intellectual disabilities – as well as state legislators – say they are becoming increasingly frustrated with government officials who are being inflexible and uncommunicative regarding unpopular new policies. 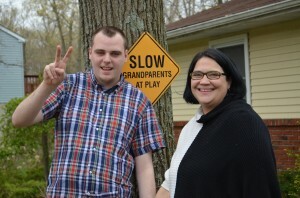 One new policy is pushing for adults with disabilities who live in out-of-state facilities to move back to New Jersey, while another ends state support for large private facilities in what is billed as a way to integrate those with disabilities into the community. Also drawing fire is a new payment system for service providers. The Department of Human Services says the changes enable the state plans to offer more and better services while lowering costs. But legislators say families’ wishes aren’t being taken into account, and the state hasn’t been communicating effectively with families and care providers. 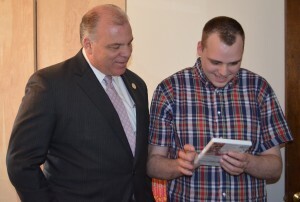 Senate President Stephen M. Sweeney (D-Cumberland, Gloucester, Salem) expressed disappointment that the state is requiring families to participate in the program, known as Return Home New Jersey, which is bringing disabled residents back into the state. “No one can overrule a parent and government is actually overruling parents right now,” Sweeney said. Deputy Human Services Commissioner Dawn Apgar said the state is working closely with families every day to show them that the state has improved its services since their disabled family members were moved out of the state, sometimes decades ago. She gave several reasons why residents are being returned to the state, including that it allows the state to ensure that the residents are receiving appropriate services and that some out-of-state providers aren’t approved for Medicaid – the program that funds these services — in their own state. Carolyn Reichenberg expressed concern that her brother, Richard Purcell, who’s lived at Woods Services in Langhorne, PA, for nearly 34 of the 49 years of his life, could be forced to move. Reichenberg, a lawyer, said she can’t understand why the state hasn’t pursued pursued family funding that would offset the cost of the roughly 370 disabled residents who remain outside New Jersey. She said New Jersey is taking a “one-size-fits-all” approach rather than doing what is in each person’s best interest. Apgar repeatedly asserted that no residents would return to New Jersey unless their families agree to the move. State officials have also said that residents won’t move unless there’s an in-state provider who can meet their needs and provide a safe environment. Family members said they must attend a series of meeting with potential providers even when they know the providers won’t work out, for fear of losing state funding for their family member. Members of one family said they’ve attended 15 such meetings. While Sweeney said he supports having all of the residents with disabilities return to New Jersey, it should be a result of the state developing services that attract families, not because they are being forced. “We’re going to the finish line without running the race,” Sweeney said. He said the state’s motives boiled down to money. Sen. Robert Gordon (D-Bergen and Passaic) said he anticipates the Senate taking action to try to reverse the state’s position on Return Home New Jersey, potentially by passing a resolution that would hold that the current regulations contradict state law. This could require state officials to rewrite the regulations. Return Home New Jersey was only one of area covered during a Senate Legislative Oversight Committee Hearing yesterday. Also addressed was the state plan governing housing for residents with intellectual disabilities, which requires that residents either have at least 50 percent of their activities take place outside of their residences or else have activities inside their residences that include people from the community. It also requires that they live in developments in which no more than 25 percent of residents have intellectual disabilities. Apgar said the rules were in response to new federal regulations pertaining to people with intellectual disabilities. The housing requirement is intended to increase housing options, Apgar added, since the bulk of current state funding is going to facilities where all residents have disabilities. Advocates say the plan could lead to service providers consolidating – but this is complicated by an absence of information about how quickly they will have to make the changes. The state also is moving to pay Medicaid service providers a fee based on each service they provide, rather than the current system based on contracts. Apgar said the change will take place over an 18-month period beginning July 1. State officials have said the new system will allow for more individualized services with steady funding. Thomas Baffuto, executive director of the Arc of New Jersey, said that the changes to housing rules and the payment system “will ultimately lead to a better system,” but that the rapidly shifting landscape – and the way state officials are communicating changes – are leaving providers uncertain of the impact. Baffuto said it’s unclear whether the new payment system will provide enough funding to meet individuals’ needs. “It’s very, very difficult for providers to make business decisions on how to move forward,” he said, adding that providers would like state officials to talk more with them about the changes. Robert P. Stack, president and CEO of Princeton-based provide Community Options Inc., proposed that the state do a simulated “dry run” for a year with the new billing system, allowing providers and the state to better understand its effects. Gail Levinson, executive director of the New Jersey Supportive Housing Association, said providers don’t know how the changes will affect them. “Quite honestly, they’re afraid they’re going to go out of business,” she said. Sen. Loretta Weinberg (D-Bergen) said it’s clear that communication is lacking. 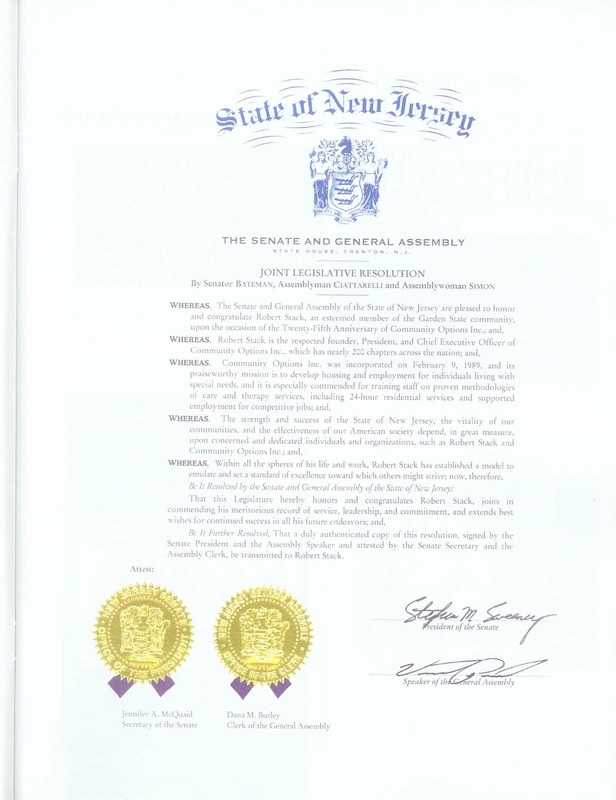 Be It Further Resolved, That a duly authenticated copy of this resolution, signed by the Senate President and the Assembly Speaker and attested by the Senate Secretary and the Assembly Clerk, be transmitted to Robert Stack. 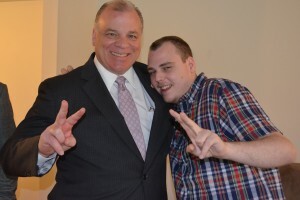 PRINCETON, NJ – (April 29, 2014) On Tuesday, April 29, Third District Senator Stephen Sweeney will visit a pair of Community Options’ group homes in Millville, NJ. Senator Sweeney will tour the group home at 415 Val Lane at 1 p.m. before seeing the home at 14 W. Wedgewood Court at approximately 1:30 p.m. He will meet with several of the residents as well as speak with Founder, President and CEO, Robert Stack, and Cumberland County Executive Director Maddie Lobban about the organization’s 25th anniversary and their upcoming gala. Community Options purchased both homes in 2011. For over 25 years, Community Options has developed housing and employment programs for people with disabilities. Currently the 5th largest non-profit in New Jersey, Community Options operates with a budget over $96 million and serves thousands of people with disabilities through 38 offices across 8 states. Providing advocacy assistance to empower people with disabilities, Community Options believes that all people –regardless of disability level – should live and work in the community with dignity, choice, and self-determination. A registered PVO with USAID, Community Options is also the pioneer of innovative programs for people with disabilities in the Middle East, Russia, and South America. Please visit our website at www.comop.org.